On this exciting nine-day adventure through Kyrgyzstan, you will explore not only the natural beauty of this diverse, rugged country, but also the culture and lifestyle of its most traditional nomadic people. 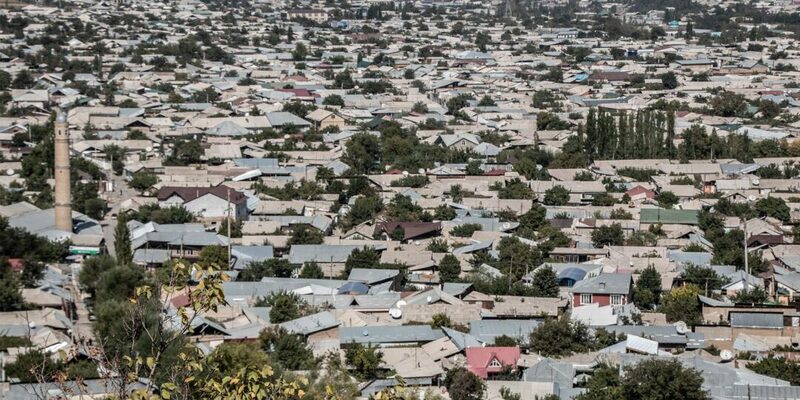 Start and end your trip in the country’s capital Bishkek, but escape the urban metropolis to hike around the beautiful Köl-Ükök Lake, explore local handicraft shops in Kochkor, discover Tash-Rabat, a 15th-century stone caravanserai, and visit a nomadic camp, learning all about the local way of life. You will also stop at several historic sites, such as Koshoi-Korgon, the site of an ancient fortress, and Burana tower, a minaret from the Karakhanids’ period. To learn about both past and present life in Kyrgyzstan, this trip can’t be beat. Today is the first day of your exciting adventure through Kyrgyzstan. We will pick you up at the airport in Bishkek, the country’s capital, and take you to your hotel for the chance to get settled in. Afterward, spend some time visiting the sites of the city, such as the Philharmonic House with the Statue of Manas, the Central Square, the National Historical Museum, and the Museum of Fine Arts. Enjoy dinner in a restaurant and your stay overnight in the hotel. After breakfast, you will head out on the road for the 5-hour drive toward Köl-Ükök Lake, stopping along the way at Burana Tower, a minaret from the Karakhanids’ period, Kochkor, a picturesque valley, and Tez-Tör summer pasture, known as a jailoo, where you can enjoy a nice horseback riding trip through the meadow. You’ll stop along the way to enjoy a pleasant picnic near the lake, exploring the local flora and fauna, before heading to your abode for the evening- you’ll be spending the night in a traditional yurt. When in Kyrgyzstan, do as the locals do! Enjoy a day by Köl-Ükök Lake, sharing in the daily life of nomads in their environment. Take a hike or horseback ride by the lake or take a boat out and fish with the nomads. After your busy day outdoors, you will spend a second night in a yurt. Today, spend the morning exploring the uniqueness of a nomadic camp, before horseback riding back to Isakeev, enjoying a picnic along the way. 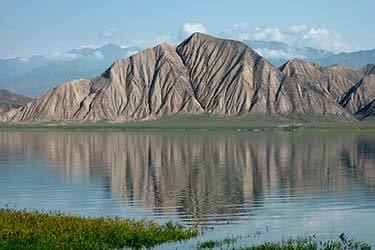 From there, you will transfer to Kochkor, where you can visit local handicraft shops before heading to Naryn, a picturesque town on both banks of the Naryn River. Tonight, you will enjoy dinner and overnight in a local guesthouse after a long day's driving (7 hours). 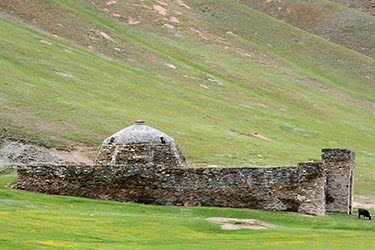 This morning, you will head to At-Bashy valley and Kamandy high pasture (jailoo), passing through the Ak-Muz village during the 90-minute drive. Enjoy a short hike and lunch with the nomads on the scenic jailoo, conversing with them and discovering their unique way of life. Tonight, you will once again stay overnight in a yurt. Today, you will visit Acha-Kayindy village for lunch in a local house before stopping in at At-Bashy village, the site of a large livestock market that occurs every Sunday. Continuing on, after 4 hours you will reach your evening’s destination: Tash-Rabat, a 15th-century stone caravanserai. Enjoy the local sauna (bania) and dinner and overnight in a yurt. This morning, enjoy some leisure time to hike or horseback ride through the scenic landscape, about two miles above the sea level. 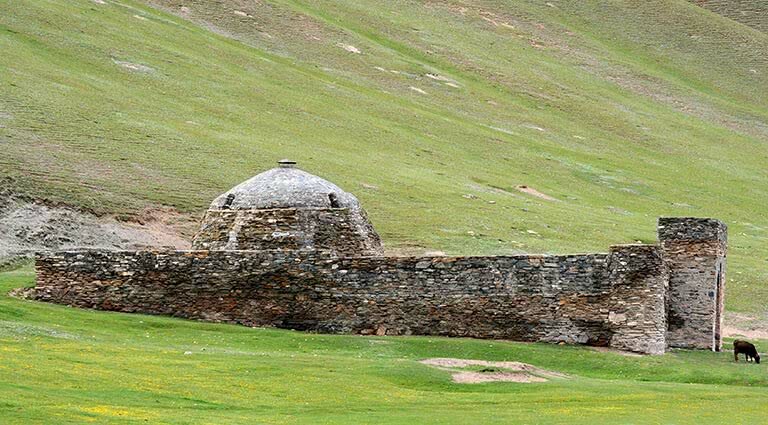 In the afternoon, you will head back to Naryn (3 hours away), stopping at Koshoi-Korgon, the site of an ancient fortress where you can observe the ruins or check out the on-site museum. You will enjoy dinner and overnight at a local guesthouse in Naryn. Today, you will head back to Bishkek (a 5-hour drive) for a farewell dinner and to catch any of the sights you may have missed at the beginning of your trip. 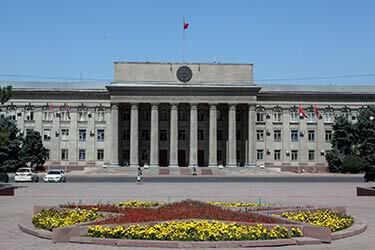 Enjoy dinner at a local restaurant and overnight in your Bishkek hotel. On the ninth day, your exciting adventure comes to an end. You’ll be transferred back to the Bishkek airport, where you can head home or - if you still have more energy - continue your travels on to another exciting destination. This stunning, modern destination in the center of the Kyrgyz capital Bishkek proudly holds the title of the only five-star hotel in the country. Within 35 minutes’ drive from the airport, this luxury hotel is surrounded by all of Bishkek’s sights of interest and history including The Museum of Fine Arts, Dubovy Park and the State Opera. What’s more, within the hotel, the facilities are first class. A range of 178 stylish rooms and suites are fitted with the latest amenities and guests can enjoy 24-hour concierge service for any and all their needs. Food lovers will be delighted by the range of cuisines, from authentic Mediterranean meals to laid-back barbecues by the pool. Meanwhile, the chic lobby bar and Opera Lounge are perfect spots for pre-dinner drinks or a romantic night cap. The comprehensive range of facilities on offer in the health club includes an outdoor pool, a spa with treatment rooms and a well-equipped gym so that guests can enjoy relaxation and reinvigoration during their stay. 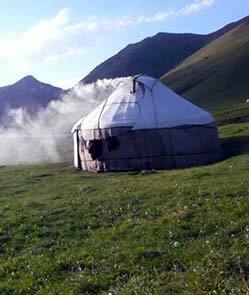 Set up camp in the remote outdoors of Kyrgyzstan, in a traditional yurt - a round, portable tent. Spending the night under the stars in a traditional yurt provides great insight into local nomadic lifestyle, while also allowing guests to get back in touch with nature and the area’s stunning surroundings. Though the interiors may be rustic, the luxury of this splendid, remote outdoor location makes it oh-so-worthwhile. In the pretty Kyrgyz town of Naryn, at the quiet, eastern end, guests bed down in the comfortable Celestial Mountains Guesthouse. 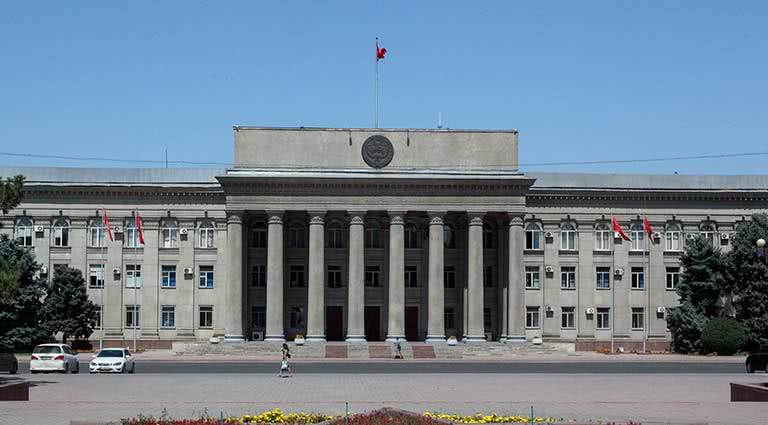 Surrounded on all sides with breathtakingly dramatic scenery, from snow-peaked mountains to the flowing Naryn River, the town is a great base from which to explore the nearby areas. While Celestial Mountains Guesthouse may have a functional-looking exterior, inside it’s cozy with homey decor and a welcoming atmosphere. Guests can choose from double, twin or triple rooms or, in the summer months, opt to stay in a traditional yurt. Every effort is made to make guests feel at home, with a comfortable television room stocked with movies to enjoy on lazy days; the guesthouse restaurant serves up breakfast and dinner every day and picnic lunches are available on request - perfect for day-trips in the country. What’s more, traditional performances and craft demonstrations can be arranged for a taste of the local culture. A stay in the Khan Tengri Hotel is an experience of traditional Kyrgyz hospitality and style coupled with modern conveniences and features. In a safe and friendly district in quiet and pretty Naryn, the small, comfortable hotel enjoys sweeping views of the soaring mountains beyond. Guests can choose from double, twin or triple rooms, all of which are equipped with television and hair dryer, with en-suite bathrooms. The hotel has a sunny terrace on the second floor to take in the view and has ample parking for guests with vehicles, using Naryn as a base to explore the surrounding area. 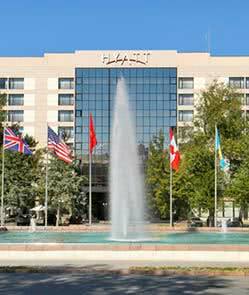 Business guests can book the conference hall which can accommodate up to 35 delegates. There’s a pleasant cafe/restaurant which serves up delicious local dishes as well as international cuisine and seminars or demonstrations of local culture and traditions can be arranged by the friendly, English-speaking staff. 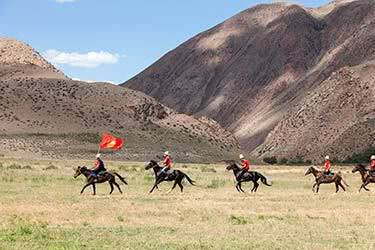 Travelers in the At-Bashy Valley will have the unique opportunity to discover the incomparable beauty of the Kamandy high pastures - known locally as the jailoo and immerse themselves in Kyrgyz nature. 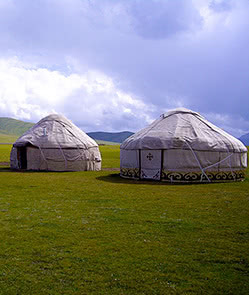 The most authentic way to experience the pastures is to stay in a traditional nomadic yurt camp. Here, guests can bed down as close to nature as possible without forgoing shelter and the comforts of a warm bed. The hospitality of the nomads is notorious and guests will feel right at home, cooking, eating, sharing and laughing with the community. Waking up every morning in the midst of stunning Kyrgyz scenery, there is a range of activities and outward-bound adventures right on the doorstep, from horseback riding to hiking and picnicking, there’s something for everyone. While the accommodation is not the sumptuous luxury of a five-star hotel, it’s a once-in-a-lifetime chance to stay in a uniquely charming environment. 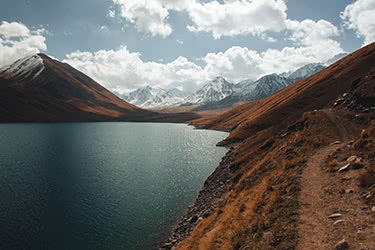 Take in northern Kyrgyzstan in this classic tour: From the capital city of Bishkek to the mountain lake of Issyk-Kul and the Chon-Kemin Valley, you will see the best this stunning country has to offer, while maintaining your ideal levels of comfort.Take in northern Kyrgyzstan on this comfortable, once-in-a-lifetime tour: From the capital city of Bishkek to the mountain lake of Issyk-Kul and the Chon-Kemin Valley, you will spend a week seeing the best this stunning country has to offer. Enjoy this week-long trek through Kyrgyzstan, as you explore the sights and sounds of capital city Bishkek, the natural beauty of the Suusamyr valley and Sary-Chelek Biosphere Reserve, and the exciting traditions of Jalal-Abad and Osh. 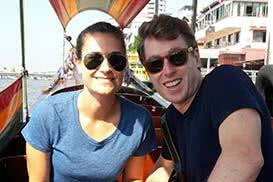 For an awakening of your senses, this trip combines adventure with culture. This challenging, seven-day ski expedition through remote Bishkek, Kyrgyzstan promises to excite even the most skilled of backcountry skiers. 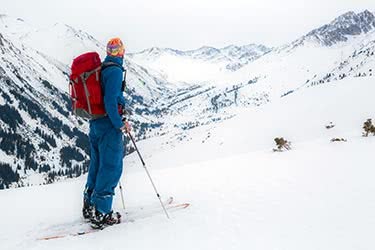 Engaging in this adventure requires visitors to be in excellent physical condition and to possess at least one year of backcountry skiing experience. You must bring fat powder skis 0.6 inches + underfoot or more. If you are a snowboarder, you must have a split board. This exciting seven-day ski expedition promises to bring your senses to life as you adventure across the snowcapped peaks of Karakol, Kyrgyzstan. Admire brilliant works of historically-significant architecture and challenge your skiing prowess as you take in every aspect of this beautiful corner of the world. 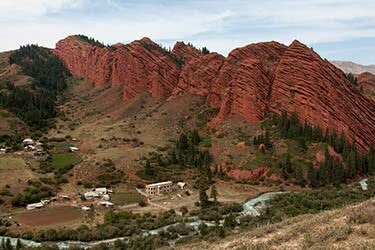 Northern Kyrgyzstan is full of extremes: from the rugged mountains to the peaceful lakes, the hot spring pools to the wild beaches, there is something for everyone in this beautiful, untouched part of the world. This week-long itinerary will take you through the culture and natural beauty this unique place has to offer. 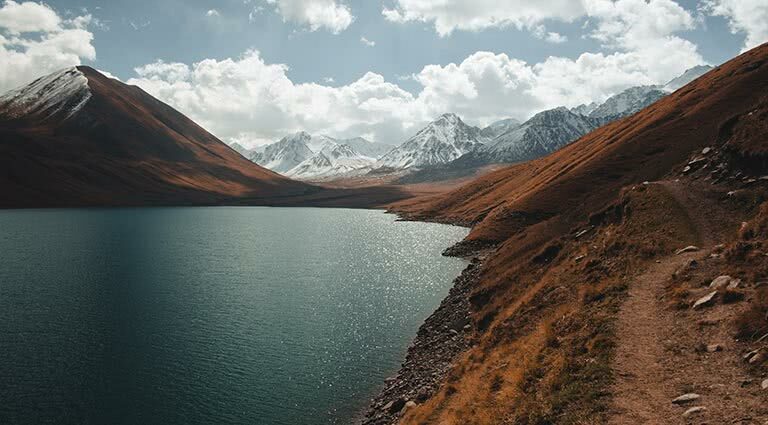 With its rushing streams, freshwater lakes, and impressive mountains, Kyrgyzstan is a Central Asian jewel. On this nine-day trip, you will journey from the bright lights and bustle of Bishkek to the peaceful mountain air in Chunkurchak, the small village of Kyzyl-Oi, the expansive Song-Kul Lake, and Chon-Kemin National Park. 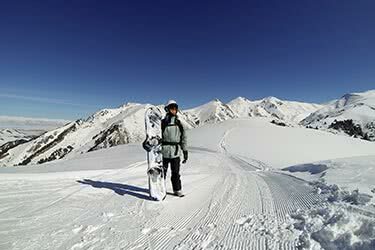 Hit the slopes of beautiful At-Bashy Valley in Kyrgyzstan’s rugged, mountainous central region. You will need fat powder skis for this eight-day adventure that takes you from Bishkek to Naryn and into the snowy backcountry to ski, snowboard and sleep in a traditional yurt. 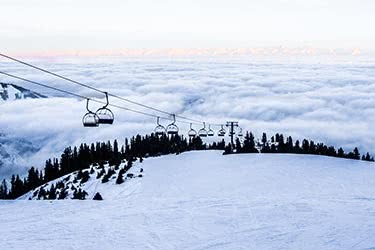 Get off the beaten piste and head to the mountains of Kyrgyzstan on this eight day adventure. Hit the gorgeous, powdery slopes of this beautiful nation’s backcountry, camping overnight in a traditional yurt. 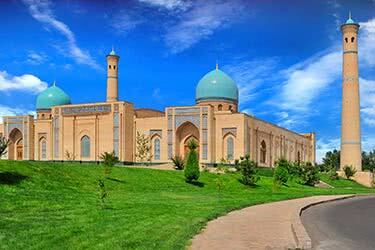 Start and finish with a little local culture as you tour Karakol and Bishkek. From picturesque valleys to traditional villages, this eight-day tour will bring you through some of the most beautiful spots Kyrgyzstan. You will explore modern Osh, historical Uzgen, and the charming small towns of Jalal-Abad and Sary-Tash, while enjoying picnics and hikes against sweeping panoramas. 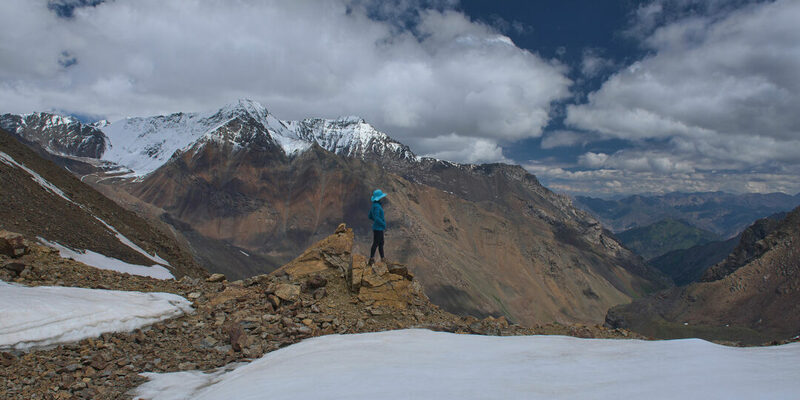 Roadtrippers with a sense of adventure and a love of culture are enchanted by the sights and delights along the M41, the highway that cuts right through the Pamir Mountains. One of Tajikistan’s most beloved destinations, explorers on the Pamir highway will be delighted by the local lifestyle, the pretty mountain towns and the breathtaking scenery. 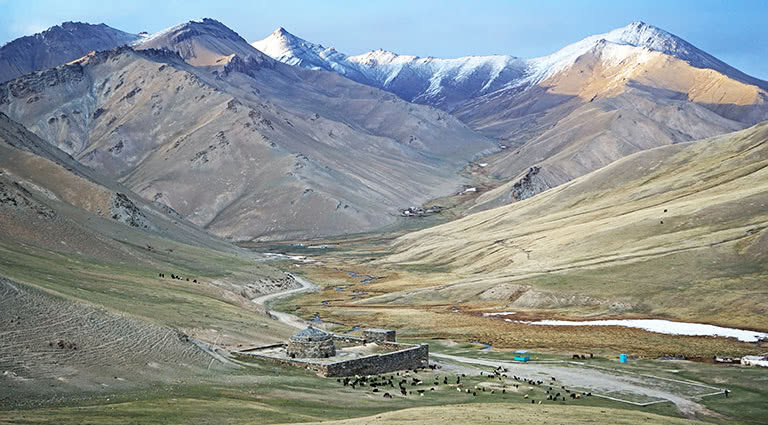 Jay loves the amazing mountain scenery of Kyrgyzstan, and the friendly people living in yurts in the countryside. 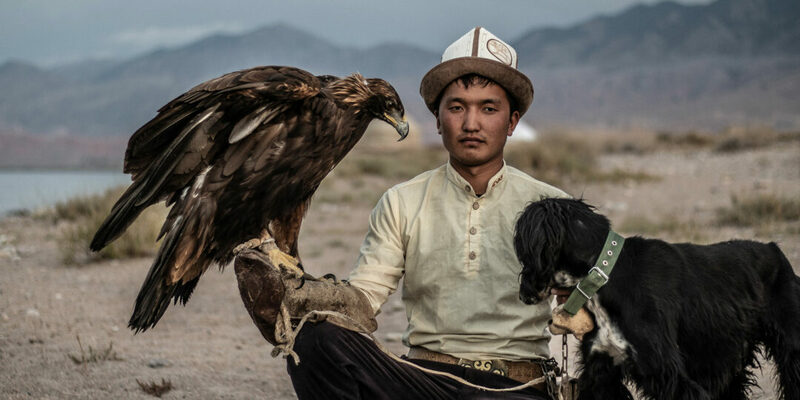 Aidar and Nursultan, Kyrgyz eagle hunters, train their deadly predators on the edge of Issyk-Kul Lake, a window into the past and a demonstration of nature's raw power. It's not the most popular city in Central Asia, but for those with one day in Osh, there is plenty to see for those who like history, mountains, and uniquely photogenic markets. 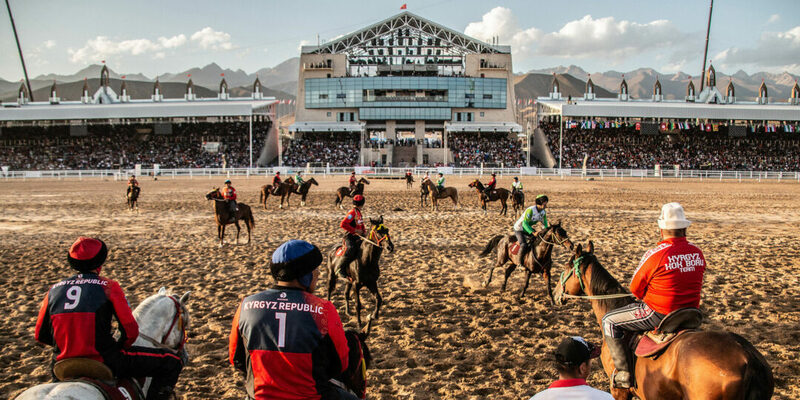 Richard Collett travels to the World Nomad Games in Kyrgyzstan for an inspiring story of sporting greatness, cultural pride, and dead goat polo – also known as Kok Boru – in one of Asia’s most interesting competitions. Dave Stamboulis travels through the wildly verdant Jyrgalan Valley and over the Sary Mogul River to discover a Kyrgyzstan that is quite different than one might expect. This detox isn't a spa. Kumis, a slightly alcoholic drink made of mare's milk, is a peculiar facet of the hills and herds of nomad culture in Kyrgyzstan that will cure what ails you. 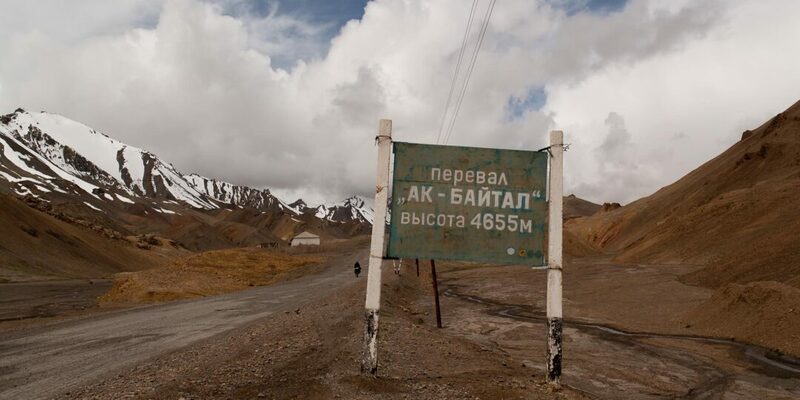 A sign in the Ak-Baital Pass reminds you that you are 4,655 meters above sea level. 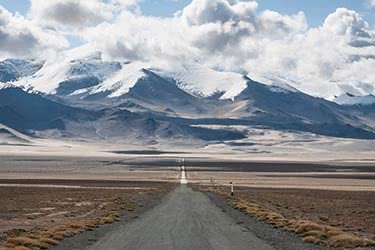 The untouched landscapes of Tajikistan and Kyrgyzstan are a driver's dream.